Many creams, lotions and other topical treatments promise a long list of miracles. From a youthful appearance to erasing wrinkles, these treatments can only go so far. If your skin can't absorb the amazing product, it can't work properly. The SONICLEAR cleansing system rids the skin of all the impurities so that it can look its best. The SONICLEAR cleansing system is different from other cleansing systems. The soniclear brushes have been treated during the manufacturing process with proprietary LIFE antimicrobial product protection. This exclusion item is added to the brushes to guard against the growth of stain and odor causing bacteria. The protection will not wash out or wear out during the normal life of the brushes.The idea behind this protection is simple, a cleaner brush will help produce a cleaner skin. Soniclear works on all types of skin, even sensitive skin. The device works by micro-massaging away dirt and impurities. It can remove makeup 6X better and cleanses 2x better than using your hands alone. 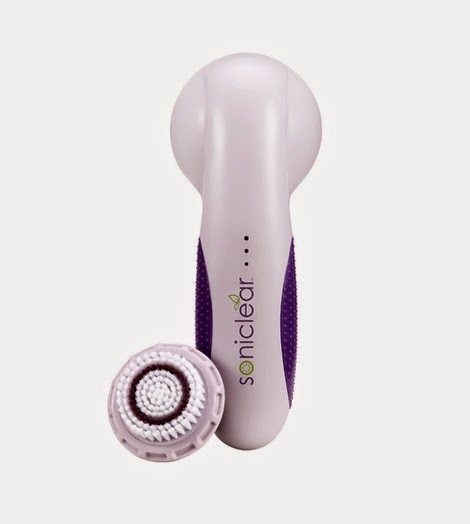 Using the Soniclear for cleansing allows for better product absorption, improved skin tone, and and better cleansing. For the past month, I have used the Soniclear. I enjoyed that the device is waterproof and can be used in the shower. With two removeable heads, one for facial cleansing and a large one for body cleansing, I was able to get everything accomplished in my morning shower. My skin has felt smoother. I noticed that I need less moisturizer after using the Soniclear. Overall, my skin looks and feels great. I look forward to continued use and improvement. Soniclear can be purchased at Michael Todd True Organics. It retails for approximately $150.